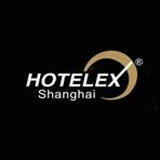 "The Shanghai International Hospitality Equipment and Food Service Expo"
HOTELEX Shanghai covers the entire hospitality and catering industry from Catering Equipment, Tableware, Appliances & Amenities, Textile and Uniform, IT & Security, Fitness & Leisure, to Food and Beverage, Bakery & Ice Cream, Coffee & Tea, Wine & Spirits, and more. 4 30 Mar 2018 Miss Jitanong D. Bu at SkyLuck Co.,Ltd. Please gather your same categories of products to the same hall., for example, kitchen appliances. why did they have people selling jade and there stones? and there was a booth also selling toys. IMO there should not be stuff like that at the show. Profile for exhibit includes Catering equipment, Refrigeration systems, Tableware & Silverware, Cutlery & crockery, Air conditioning & ventilation systems, Audio/visual equipment, Telecommunication, Laundry equipment, Furniture & furnishings, Lighting, Gifts & souvenirs, Fitness & gym equipment, Spas & saunas, Pool, Sports & leisure equipment, Bakery & Ice cream equipment, Food hygiene testing & monitoring technology & equipment, Beverage storage equipment. Huangshi Donper Refrigeration Co., Ltd.
Fresh Juice Industry ( Kunshan ) Co., Ltd.